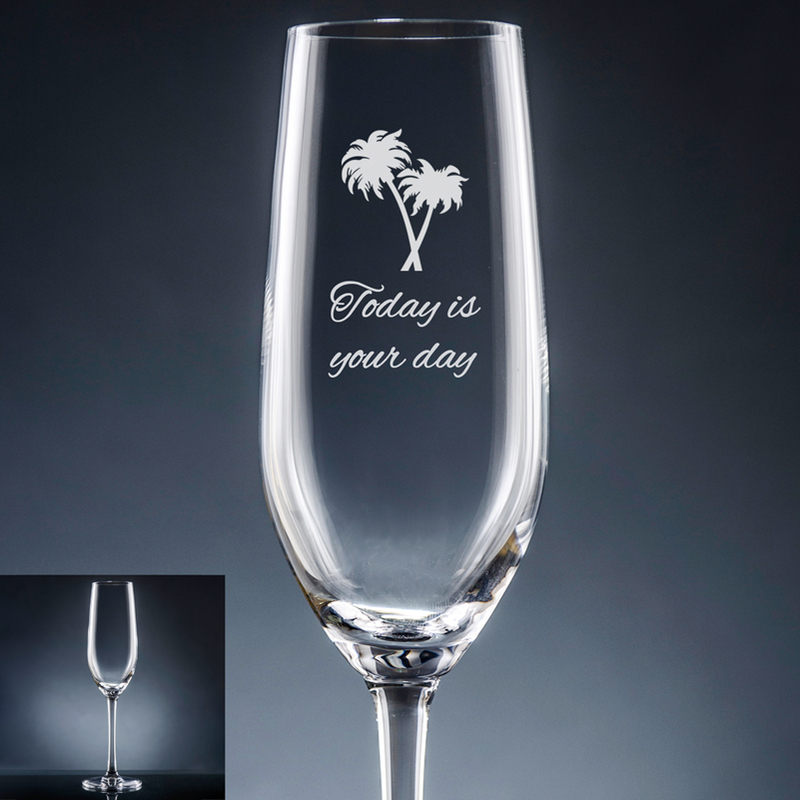 Kick back and enjoy life with the Miramar glassware collection. Personalize this 6.25 ounce champagne flute with up to three lines of text in your choice of lettering style, plus a choice of motif, including "Over the Hill" gravestone, fleur de lis, grapes, crab, palm trees, captain’s wheel, anchor, chair, flag and star. Clear glass. Dishwasher safe.